When it comes to providing comprehensive veterinary care for your pets, Willowbrook Veterinary Hospital is there every step of the way. We offer experienced and affordable animal dental care in a safe environment, helping you keep your pets healthy and happy for years to come. Just like with humans, our pets need regular dental care to prevent health issues from cropping up over time. The skilled team here at Willowbrook provides safe and comprehensive dental cleanings in our state of the art, AAHA-accredited facility. Dental cleanings in our clinic are performed under general anesthesia to allow for the full removal of disease-causing plaque and tartar. Before any anesthetic procedure, we’ll run age-appropriate tests to make sure your pet is in good general health and able to be safely sedated. During the cleaning, we carefully monitor their vital signs for any changes. Once we’re all done, your pet will wake up and recover with compassionate care from our veterinary team before we send them on home with you. All of our dental patients are evaluated with full-mouth digital dental radiography during their cleaning. These x-rays allow us to identify specific problems with the teeth or jaws, hidden below the gumline. 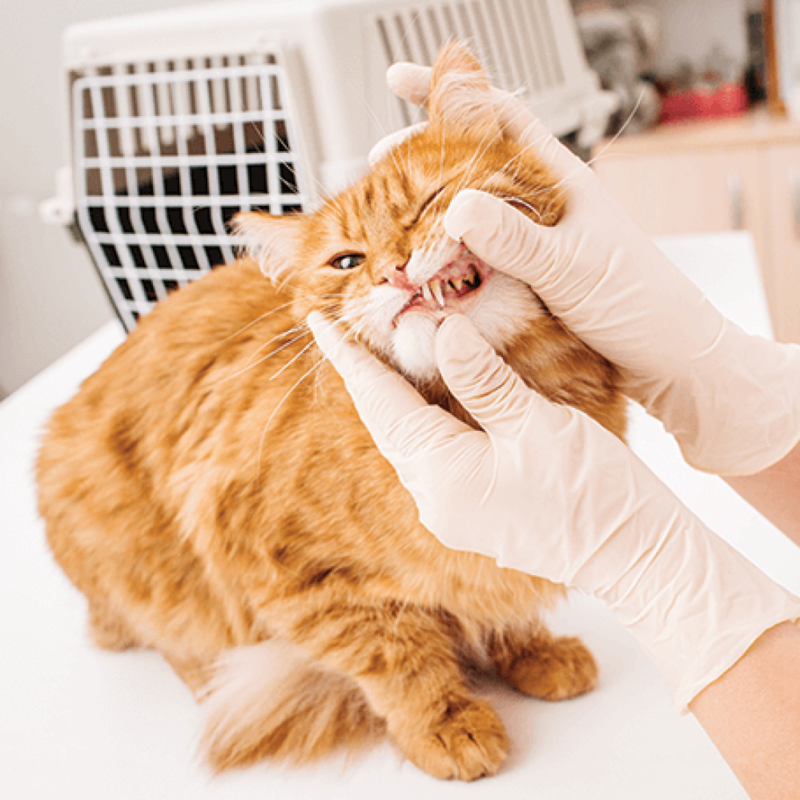 In addition to our in-office dental work, your veterinarian may also discuss home dental care options for your pet during their annual wellness exam or after their cleaning. We’ll walk you through the specifics of at-home oral health care and suggest training and supplies that can make the process a little bit easier. For more information, please contact us at 503-549-2012 or request an appointment online.